The short version of this line is a classic at Atelier Tuffery. Worn by all its seamstresses, this is the historic workwear of the artisans at Atelier Tuffery and is suitable for both professional and domestic use. 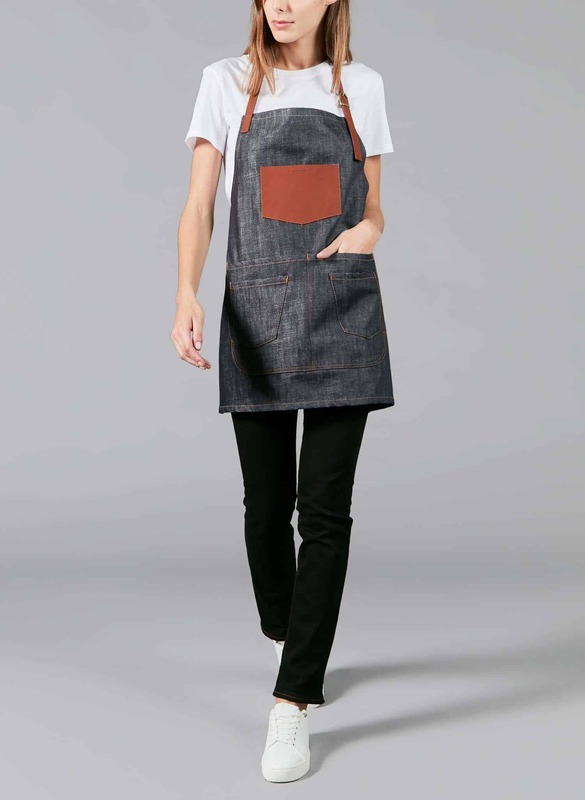 The Atelier Tuffery + : You can personalise your apron with hand-stitched embroidery. For this model in its Artisan range, Atelier Tuffery has chosen the finest materials: an indigo twill and pocket and straps in vegetable tanned full grain French leather.